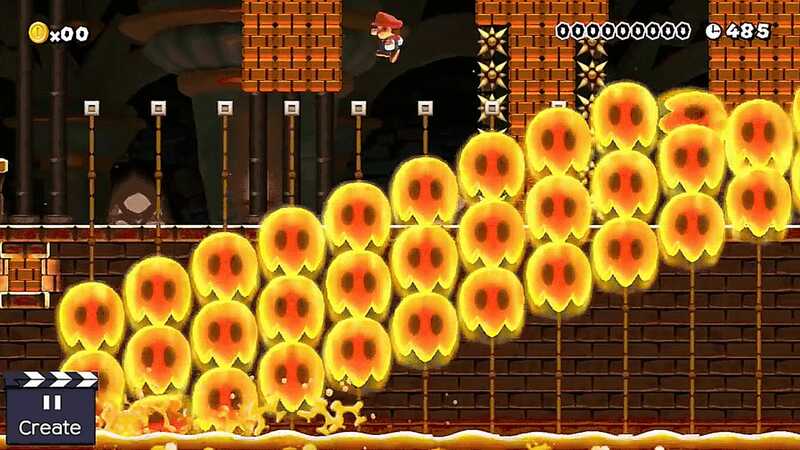 Mario Maker Ceave used a series of enemies stacked on top of one and another to create a gradual incline. Then, on top of them, he placed Bullet Bill launchers, creating a solid slope. This trick takes advantage of the fact that Koopas and Spinys are of different sizes. It's simple and surprisingly effective. Auto-scrolling levels required a more complex recreation. These were not part of the original game and to get them to work, Ceave used Bullet Bill launchers that were placed on top of the shells. These shells then hit the springs, music blocks and other Mario Maker parts to change their speed and direction. them from the older games. But if you can not wait for the sequel, you could always try making your own Super Mario Maker 2 while you wait.